Michelle Obama’s farewell speech today made me think of AI. The country the young people in the US are building is one based on AI and that will require an enormous number of young men and women with an education in STEM to accomplish it. AI and STEM are necessary to function in the modern world – there is not an industry that will not be touched by AI, and hence we will require a good STEM education to do everything from designing cars, fashion, buildings, banks and infrastructure to curing people with custom AI medicines, solving food security issues and preventing wars. You don’t have to be a rocket scientist but we are all going to need STEM functionality at some level for most jobs in the future. And so the key is young people. As Michelle Obama said — they matter and they must become empowered with a good education. Unfortunately, the number of women in the STEM workforce keeps dropping and now stands at 21%. Other research suggests that annually in the UK, 50,000 women leave STEM for other jobs. The statistics are worse in Canada. Some of the biggest obstacles we learned from our research for our Women in FinTech White Paper for SWIFT was that perception and role models matter. 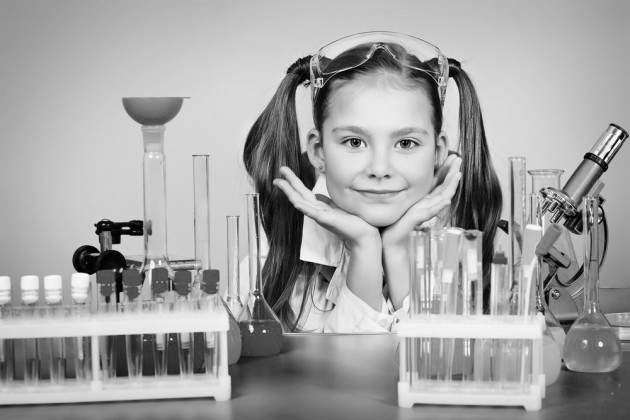 Young girls need to see us – adult women – succeeding, and indeed, leading, in STEM roles in order to visualize themselves in those roles or they won’t go for it – meaning they won’t go into sciences and technology fields in university. We also know that when women get a good education, they often leave STEM jobs because of an unsupportive culture. In addition to getting a good education, as Michelle Obama implored, we also need to fix the perception issue with, among other things, women in STEM leadership and we need to change the culture with inclusiveness. The world is quickly evolving in the AI space and young people and businesses alike are seeking responsible leaders to lead us during this time of change – one who promotes young people getting a good education and who doesn’t just talk about investing in inclusive programs for women in STEM but because they have the economic power to do so, requires the public sector investment of funds in startups launched by women and in the education of women in STEM. Such a person hasn’t emerged yet. Young people can do their part and build a country worthy of their promise but they need real leaders to emerge who are worthy of our talented youth. If we invest in STEM, especially girls in STEM, they will invest back in us, as a country, with their talent and make our world a better and more inclusive place, even when it is run by machines.